The northern lands - that is the Nordling Realms, described by Andrzej Sapkowski in his novels and short stories, are threatened by unspeakable doom. According to the prophecy of Ithilinne, an elven seeres, the world will be destroyed during the Time of White Cold and White Light - frost, snow and a glacier that will cover the lands from the north. A cruel and bloody war with the southern empire of Nilfgaard and the elves has recenly ended, but left the northern lands ravished and destroyed. The reign of quarrelling and short-sighted kings is falling. Amongst the chaos and confusion, a new bastion of peace rises - The Order of the Burning Rose. The monk-knights promise to bring peace and prosperity, and unite all the Nordling realms. The knights claim that the coming frost may only be defeated by the power of fire, which they worship. However the ones to survive the cataclysm are generally the pure-blooded Nordlings. The Order is getting more and more powerful. It has been given lands in the kingdom of Aedrin and fights there against the elves from the Valley of the Flowers. The monks want to win favors of the monarchs from the twelve northern realms, and strive to acquire the wastelands inhabited by elves. 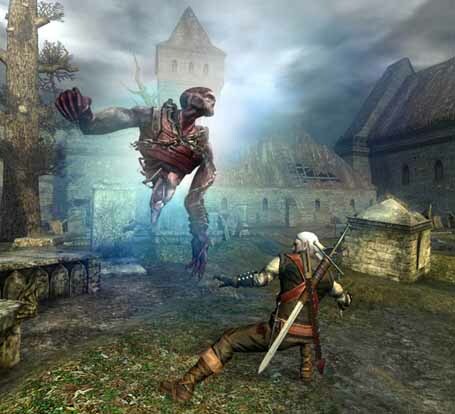 - In the game, the hero will travel across vast areas of the Nordling Realms, visiting places and locations known from the books and encountering many characters described both in the "witcher saga" and short stories. He will learn who is behind the assault on Kaer Morhen and will discovers secrets that might be a threat to the whole world. What are the witches? What are the witches? What do witches do? It's fun to have language knowledge.